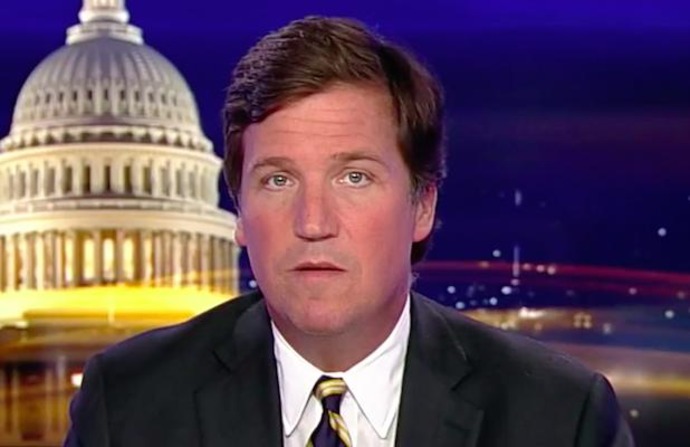 Tucker Carlson openly accused CNN of being tipped off by special counsel Robert Mueller's office about Friday's early-morning FBI raid of Roger Stone, telling his audience Monday evening that there was "no question" about how the network was able to film the Trump confidant's arrest. "Of course CNN talked to Mueller's people before the raid. There was never any doubt about that," Carlson said, without citing any evidence to support the claim. "All the barking aside, Mueller wanted the raid on Roger Stone's home caught on tape and publicly aired as a warning to other disobedient witnesses about what can happen to you if you step out of line. "CNN was happy to oblige, so CNN acted as the public relations arm of the Mueller investigation as they have before and then they lied about it in the most self-righteous possible way," he added. Reps for CNN and Fox News did not immediately respond to request for comment. The Special Counsel's office declined to comment. In a tweet to Media Matters staffer Andrew Lawrence, CNN communications chief Matt Dornic said he sent this response to a producer of Carlson's show: "As for our sourcing - while I fully grasp the angle and intent of your show, your network still contains the word 'news' in its title so surely you know that journalists don't disclose their sources. That said, we've made it abundantly clear what clues led us to Stone's house - a news gathering effort that would be unnecessary if we'd been told to be there." On Friday, Stone was formally charges with multiple felonies including five counts of false statements and one count of witness tampering, according to the Washington Post. The move followed months of speculation that his indictment was imminent. Stone, a longtime Trump confidante, was himself picked up by the feds in a pre-dawn raid outside his Fort Lauderdale home. A New York City home and Florida recording studio were also raided. CNN captured the Stone raid on tape running with exclusive footage of the raid all day. The network, however, immediately faced questions from some (like Carlson) who said there was no way they could have been on hand to capture the moment unless they were tipped off by an insider, whether from Mueller's office or the FBI, which conducted the arrest. Stone has repeatedly professed his innocence on Instagram and in a flurry of media appearances. He formally pleaded not guilty to the charges during an arraignment on Tuesday.